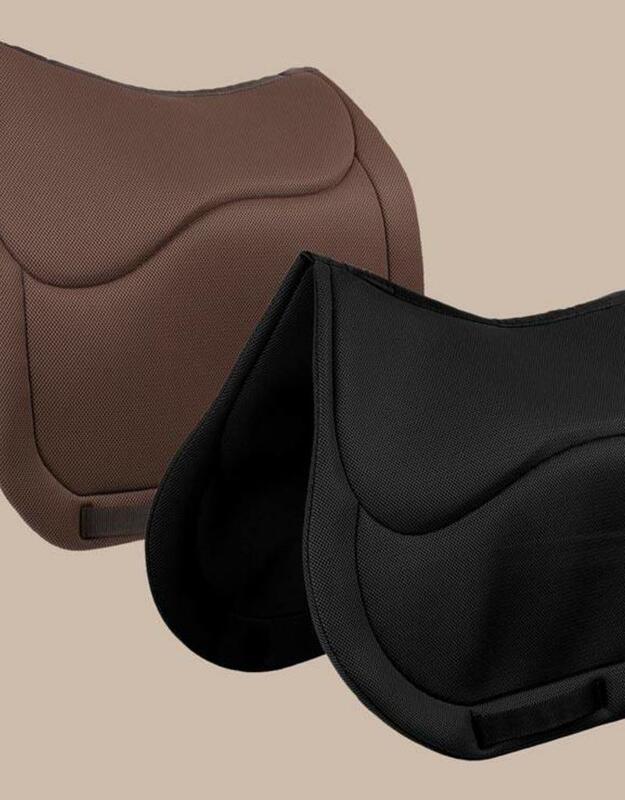 The Kingsley saddle pads are a pad and saddlecloth in one. The pad component is thicker and consist of the dual-layered material of the Kingsley Pads®. The product does not heat up or get moist, due to the benefits of the shock-absorption. Kingsley’s saddle pads are suitable for both dressage as well as jumping saddles and available in various colours. The Kingsley Pads® are innovative saddle pads designed with the help of various air and space travel techniques. The three-dimensional woven material has various performance-boosting characteristics. Kingsley Pads® are available in single-, double- or triple-layer models. A rider striving to have the least possible space between the saddle and the horse will benefit most from the single-layer model. These Kingsley Pads® are recommended when the saddle is perfectly positioned and the rider aims to retain close contact to the horse. The double-layer model is often used by dressage and jumping riders. These Kingsley Pads® are perfectly suited for saddles that are used on multiple different horses. The triple-layer model of Kingsley Pads® is recommended when the rider spends a long time on the saddle, for example for saddles in a stable and for disciple endurance.